With MeshMagic 3D, viewing and editing stl files has never been easier. Import STL files created with CAD and drafting software. 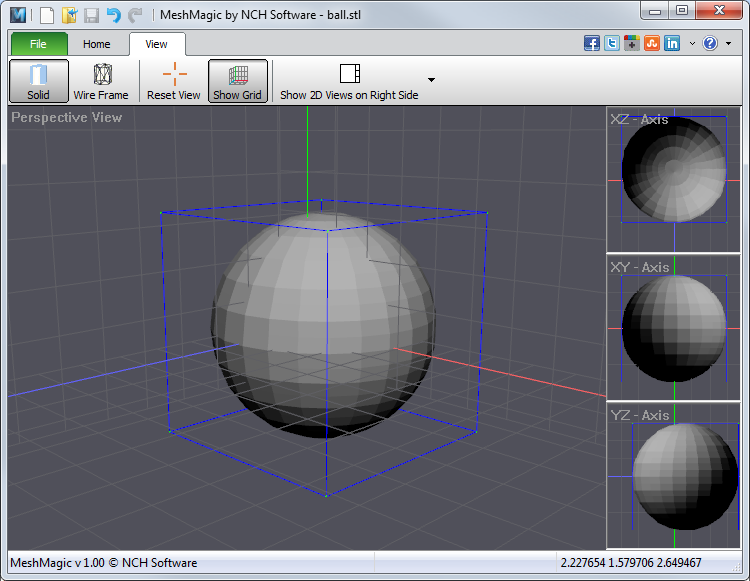 You can then use MeshMagic to rotate and rescale the existing meshes. MeshMagic is an excellent 3D modeling program for viewing and editing STL files. The interface is intuitive and allows users to rotate and scale existing meshes. With MeshMagic you can select entire objects, surfaces triangles, lines, or points. Use MeshMagic 3D to transform a 2D outline into A 3D object.